Gannon’s Tavern, Hyannis’ newest Family owned and Family run restaurant, is an American Contemporary Tavern with a Modern Industrial feel focusing on a “from scratch” kitchen and carefully hand crafted cocktails. Gannon’s will feature a variety of Small plates and Bites, Soups & Salads, Burgers and a wide range of Entrees with a focus on Fresh, Local Seafood. There will be a family friendly atmosphere with a full dining room and a 3 season outside dining area. The bar area features a 20 seat bar with a standing drink rail and high top tables, along with Keno and 7 Large screen HDTV’s which are perfect for watching your favorite team. Our goal is to provide each and every guest with and amazing dining experience wether it’s celebrating a special occasion or just to sit at the bar to relax and watch a game. We hope to build our business through the local community and by being active in the Mid Cape area with different charities and special events. Our goal is to become an intregal part of Barnstable County and beyond. We named this venture Gannon’s Tavern after our two young boys Michael and Grayson and we look forward to creating a life long business where all of our friends and guests can watch them grow along with us! Maybe one day they will be running the show! 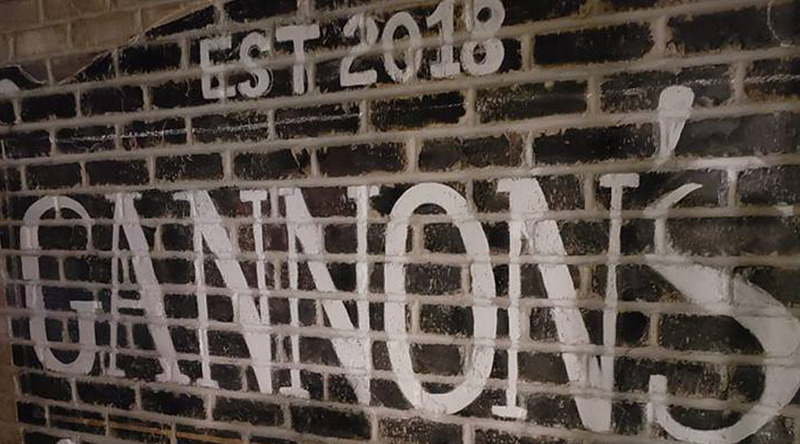 Join us at Gannon’s Tavern and let our friendly, knowledgeable staff, our outstanding food and drinks and welcoming, newly renovated space turn your next night out in to a memorable one!